The attorney general’s department is refusing to say how much taxpayer money has been spent defending a little-known trade dispute brought by a US-based energy company against the government. It is the last remaining so-called investor-state dispute settlement (ISDS) pending against the commonwealth, after the tobacco giant Philip Morris Asia lost its plain packaging case in 2016. The government will not say how much it has spent responding to the claim, which is in its early stages. Investor-state dispute settlements are highly controversial and are seen as empowering large companies. They allow foreign corporations to challenge a sovereign government in a special tribunal if they think the government has introduced or changed laws that significantly hurt their interests. 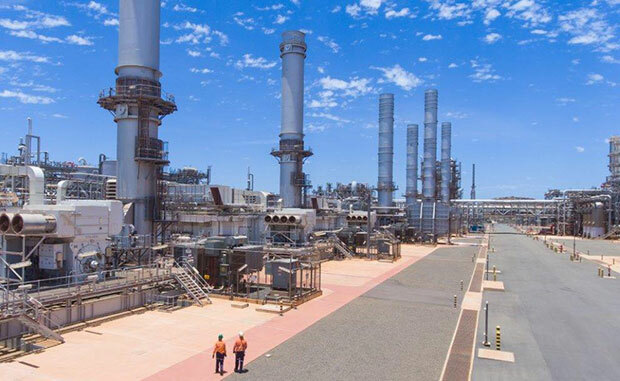 The latest claim was initiated by APR Energy, which is demanding US$260m ($350m) in compensation for what it claims is the “illegal expropriation” of two gas turbines in Western Australia’s Pilbara region. APR Energy has claimed its rights under the Australia-US free trade agreement (AUSFTA) which has no ISDS mechanism but which contains a provision saying an ISDS arbitration may begin if both parties agree to it. It filed a notice to formally begin arbitration on 14 April 2017, alleging Australia had violated numerous AUSFTA articles, including the articles on “most favoured nation treatment” and “expropriation and compensation”. The federal government is fighting the claim, and has reminded APR’s lawyers that AUSFTA does not include an investor-state dispute settlement clause. “Australia has not consented to investor-state claims under AUSFTA, and your clients cannot rely on other agreements in order to create jurisdiction where no such consent exists,” the Attorney General’s Department told APR’s lawyers. The legal costs of the ISDS case may be minimal, because APR Energy’s claim was only initiated last year, but the federal government is still refusing to say how much it has spent responding to it. The Centre Alliance senator Rex Patrick wrote to the Attorney General’s Department last week asking it to reveal the cost to taxpayers. He said it was “misguided in its view that the legal costs can be held secret”. “If the department believes it is not in the public interest to answer the question, a public interest immunity must be advanced with details of specific harm to the public interest that could result from the disclosure of the information or document,” Patrick’s letter said. Patrick fought for two years, along with the former senator Nick Xenophon, to get the government to reveal the legal cost of fighting Philip Morris Asia’s plain packaging case. Philip Morris was ordered to pay Australia’s legal costs in 2017, but the government only revealed the cost this month on the order of the information commissioner. Patrick says the department of health erroneously advanced a public interest immunity in its attempt to keep the costs of the plain packaging case secret, and the Attorney General’s Department should not try the same tactic. APR Energy’s case relates to an incident in Western Australia in 2014. APR had leased two gas turbines in the Pilbara to an Australian construction company, Forge Group, which used the turbines as security for a loan with ANZ Bank without APR’s knowledge and in breach of its lease agreement. When ANZ later appointed receivers to Forge in early 2014, APR lost ownership of its turbines because it had failed to properly register them under Australia’s Personal Property Security Act. It sparked a run of funding problems for APR and contributed to a share price collapse. APR estimates the damages are worth US$260m. On Monday a public hearing will be held on Australia’s inclusion in the revamped trans-pacific partnership trade agreement, the so-called TPP-11. The TPP-11 includes an ISDS mechanism.